The best way to get to know a community is by scheduling a tour. See the facilities, meet the staff and residents, and get a feel first hand what it's like to live at The Landing of Canton Assisted Living. At The Landing of Canton, seniors will find a communtiy filled with active seniors and highly trained staff who are on hand to provide help whenever it is needed. We offer apartments that have a companion or private option, and features include a private bath with step-in showers and in-suite climate control. 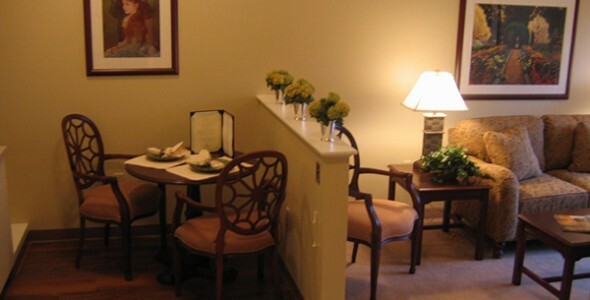 Our residents enjoy the convenience and relaxation that the on-site spa and beauty salon provide, while the dining program offers an escape from the kitchen. On-call physician services are available, and there is a memory care wing specifcally for our residents with Alzheimer's and dementia.